Circle H Builders has been chosen time and time again to be the homeowner's preferred builder because they offer open and honest discussion of all aspects of the luxury home building process. Executive Construction Homes, LLC is a multi award-winning builder being recognized by the Greater Columbia Home Builders Association. Eddie spends his free time not only with his family but other community related functions. Together the Yandles’ involvement in the Columbia, SC area has brought over 700 new homes to families as of January 2018. With a growing staff, and a demand for affordable and custom homes, Executive Construction Homes has a drive to continue in all directions of the Columbia real estate market for many years. Eddie and Shanna Yandle are the owners and founders of Executive Construction Homes. Eddie Yandle has been in the building industry his entire life. In 1985, Eddie started working full time with his father, George (Butch) Yandle, in the underground utilities business. This company worked only for the local Greater Columbia and Lexington areas and allowed Eddie to gain expertise and knowledge in building homes in every stage of the process. Eddie built his first personal home in 1989, soon after that he met his wife, Shanna. They quickly built four homes together and Eddie started the beginning of Executive Construction Homes, LLC. Eddie Yandle became focused on building with superior quality and enduring value. Shanna now serves as office manager while Eddie keeps busy in the field. Staying involved in the building process is very important to Eddie Yandle. From designing the home, to personally inspecting the details, Eddie ensures the home is what the customer expected at their purchase contract. Eddie and Shanna are now raising two beautiful children. What’s the most important step in building a new house from the ground up? Many people would say it’s choosing the right Catawba home builder. 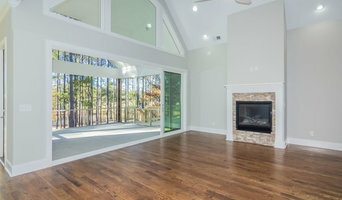 Constructing a new house is a huge and multifaceted undertaking, so it’s important to find custom home builders in Catawba, SC you can trust to bring your vision to life, as well as keep the process under control from start to finish. Although a construction job is never without surprises and challenges, a Catawba, SC home builder who’s a good fit for your specific project will make these far easier to handle. 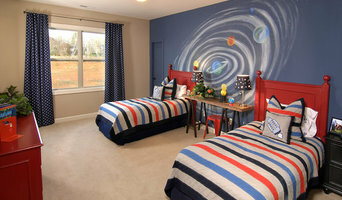 For Catawba residential home builders who also act as developers, the job starts well before the first nail is driven. They perform local market research to determine whether the prospective homesites make sense in the Catawba, SC market, as well as survey the land on which the house will be built to make sure it is suitable for construction. Custom builders also obtain the necessary permits. 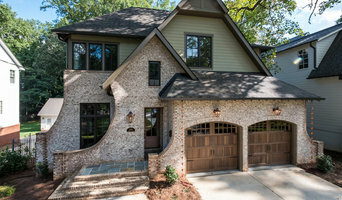 A good custom home builder in Catawba, SC has skills that go far beyond construction — he or she must supervise subcontractors and artisans; keep tabs on local zoning regulations, building codes and other legalities; inspect work for problems along the way; and perform dozens of other roles that are essential in building a quality house. Here are some related professionals and vendors to complement the work of home builders: Interior Designers & Decorators, Landscape Architects & Landscape Designers, Architects & Building Designers, Kitchen & Bath Designers, Specialty Contractors. House builders are responsible for ensuring that the home-building project sticks as closely as possible to the specified timetable, particularly in the event of change orders. Custom and luxury home builders in Catawba, SC also need interpersonal skills to deal with clients of all types, soothe frazzled nerves, negotiate conflicts and resolve problems. 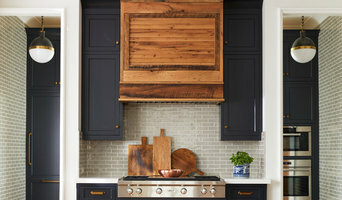 Find custom home builders in Catawba, SC on Houzz. Narrow your search in the Professionals section of the website to Catawba, SC home builders. You can also look through Catawba, SC photos to find a house you like, then contact the builder who worked on it.